The winner of my Lavazza giveaway was chosen and contacted. Thank you to everyone who entered! 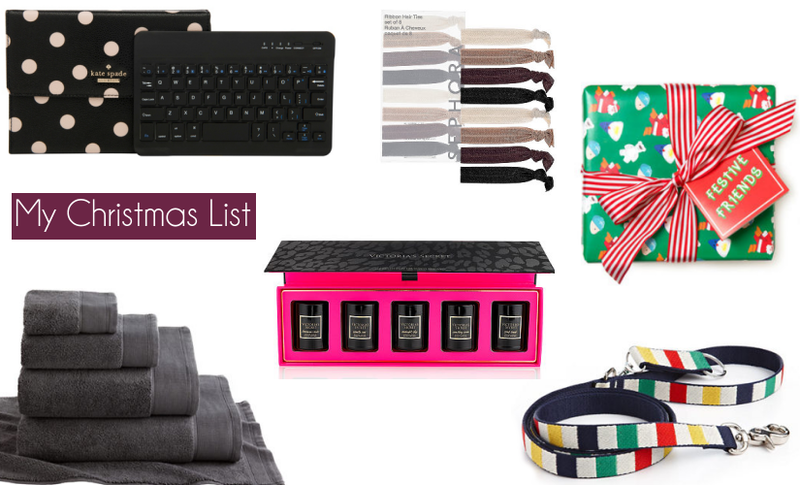 I've shared my holiday gift guides for this year, so I thought I would share a few things off of my personal Christmas list. It's small this year, because I honestly got the best gift already when I got Indy for my birthday (and he's definitely getting spoiled with presents!). If interested in any of the things that I have on my list, be aware that some might be sold out online. They can still be found in some stores. What are some things you are asking for? I really need a new phone since mine broke back in ummm september? so to stop using the half broken old one from 2011, I think I will be asking for a second hand iphone 5s :) my e-reader broke as well so I will have to get B&N Nook glowlight, I had the previous edition from when it came out over 2.5yrs ago, I loved it.. I never had an iphone yet, for now, I had only windows phones since real smartphones came out in 2010 or when was it :) I have been looking at 6 in store but its so uncomfortable, I hate the feel of it, probably the mask solves things but otherwise I feel like it would fall out of my hands any moment! 5 has an awesome exterior, I wish they made it the same way, maybe a tiny bit thinner and taller but otherwise same, not rounded and slippery! I agree, sweet Indy has got to be the best present ever! I wanted a new camera for Christmas, and I got a great deal on one Black Friday, so my Christmas list is fulfilled. Time for a YouTube channel! The VS candle set looks lush! That tech assessories set is gorgeous!